TENS (transcutaneous electrical nerve stimulation) is a form of treatment that has been used for neuropathy for about three decades. The treatment involves placing electrodes around the pain site, after which gentle electrical impulses are sent through the skin. This modulates how pain is transmitted to the brain, while also stimulating dynorphins, endorphins, and enkephalins, which means people can better control pain. It should be noted that this therapy on its own is generally not sufficient to treat the pain associated with neuropathy. However, many people feel that it is beneficial as a complementary therapy. Treatment usually lasts for around half an hour, and can be repeated daily. First of all, if you pump electrical current into human tissue, the nerve endings are tickled and stimulated. This makes the muscles contract slightly, while also giving a tingling sensation. This sensation, together with the contraction, can temporarily drown out pain. However, one difficulty with this, is that you must determine how strong the stimulation should be for you, and most people do find that they have to increase the stimulation over time in order to continue to experience the same effects. There is also some suggestion that this therapy will only be truly effective if you use the correct setting, but determining what this setting is, can be difficult. That said, it is undeniable that it helps to gently exercise and relax the muscles and that it does have some pain reduction benefits, even if they may not be any stronger than those provided by over-the-counter pain medication. On the other hand, the treatment is safer than any over-the-counter pain medication, and certainly stronger than pain pills. Secondly, TENS provides central stimulation. 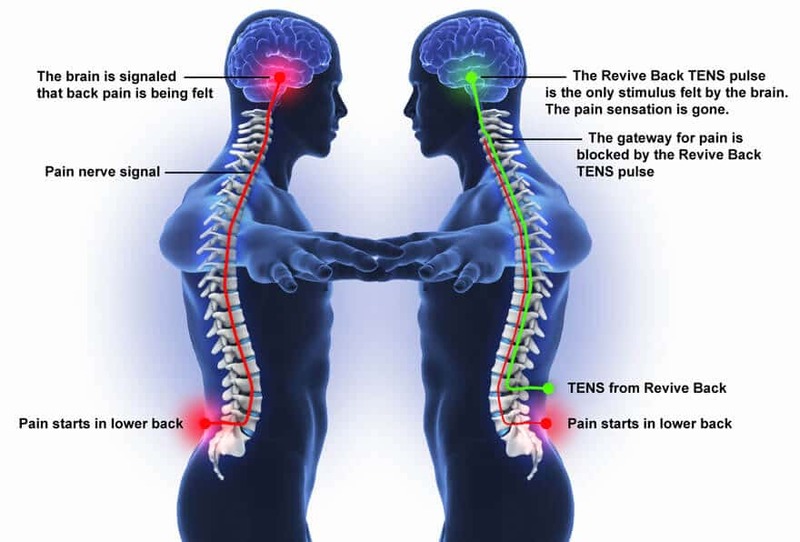 This means that it stimulates the brain or the spinal cord, which is a form of neuromodulation. Interestingly, this concept stems from electro-convulsive therapy (ECT or electroshock), which has always been a controversial form of therapy, albeit one that continues to be accepted. At the level of electroshock therapy, it is used on people with severe mental health issues, Parkinson's disease, or very significant chronic pain. TENS is not electroshock therapy, as this should only be provided by trained medical professionals. Unfortunately, however, exactly how this treatments works is not quite understood. There are a number of explanations, one of which is that inflammation can be controlled through vagus nerve stimulation. This can prove to be very beneficial for people with rheumatoid arthritis. Additionally, the fact that so many people benefit from it, in so many different ways, makes the treatment incredibly interesting. Skin irritation, which around 33% of people experience. It is believed that this happens when the electrode gel dries out, however, which means it can be avoided. Skin reactions, usually caused by a reaction to the tape that keeps the electrodes in place. The use of self-adhesive electrodes can resolve this. Skin burns, which should only happen if the device is not used properly. Problems for those who are pregnant, as premature labor can be induced. Again, check with your physician whether you can use this therapy or not. A report published in 2010 by the American Academy of Neurology's Therapeutics and Technology Assessment Subcommittee, which found the treatment to be “probably effective”. Hence, they recommend it as a treatment form. 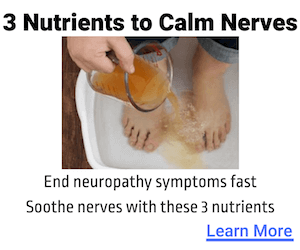 A study published in 2010 in the Journal of Rehabilitation Medicine, which showed consistent evidence that suggest that the treatment is beneficial, and therefore also recommend it for neuropathy. A meta-analysis completed in 2010 of various trials, which showed that after four and six weeks of this therapy, people experienced significant benefits. Further subjective benefits were experienced at 12 weeks. There were no reports of side effects, and the analysis therefore classified this therapy as a possibly effective and safe treatment. A 2016 Desmeules inconclusive review on the effect of this procedure on rotator cuff tendinopathy after reviewing six trials. Because people with neuropathy have a significantly decreased quality of life, any treatment that has potential benefits should be considered, particularly if that treatment has few or little side effects. Since TENS can be used at home and is reasonably affordable, it seems worth to try it at the very least. Even if people only experience benefits at first, or only if they have the electrical stimulation switched on, it still provides a period of much needed relief. It's also important to eat a healthy diet and exercise, as well as giving your body the proper nutrition with the right supplements. Some people Alpha Lipoic Acid and Methyl B-12 as individual supplements, while others use pre-made blends like Nerve Renew. There is no right or wrong way, as along as you get the highest quality ingredients and take them consistently.